When it comes to dips, I don’t limit myself to just chips. That’s not to say that I don’t love a good chip and dip, because I do. But I also like to dip chicken strips, fries, onion rings, pizza, and if the sauce or dip is particular good, a spoon. 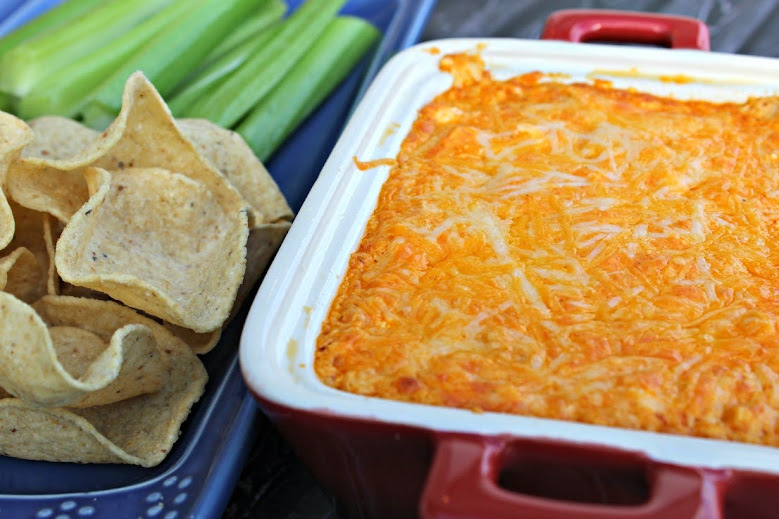 This shop and Buffalo Chicken Dip recipe has been compensated by #CollectiveBias, Inc. and its advertiser. All opinions are mine alone. When we tailgate, I like to provide a lot of options. Appetizers, entrees, desserts, beverages – I want my family and friends to leave feeling like they couldn’t eat another thing even if they wanted to. It’s a trait I picked up from my Gram, who always said “Your plate is looking a little empty” no matter how much was left on your plate. Over the weekend, we were planning to watch a lot of football. So of course I needed to plan a lot of food to go with it! I decided to run to Meijer to pick up everything I needed for my Buffalo Chicken Dip (always a crowd-pleaser) and my Mom’s Ice Cream Dream Squares, one of my absolute favorite desserts. 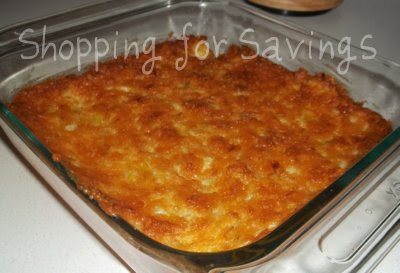 Thank you to Kettle Brand for sponsoring this Chip-Crusted Hot Artichoke Dip Recipe. I love experimenting in the kitchen. Many times when I try a recipe I’ll try it the way it’s written the first time or two, but then I like to make changes to suit my family’s tastes. One area that I generally don’t mix things up, though, is when it comes to favorite recipes that have been passed down from family members. Hot Artichoke Dip is one of those recipes. It’s something my husband’s aunt makes for every family gathering and it’s delicious. As in, seriously addictive, can-I-please-just-stand-next-to-the-dish-with-a-spoon kind of good. So I was thankful when she gave me a copy of her recipe so that we didn’t have to wait as long for the next opportunity to indulge. Bubbles’ birthday party is next weekend and I’ve been working on our menu. Most of the party ideas I found earlier were for sweets and decor; only one of them was for something to go with the meal. And while Minnie Oreo pops and cupcakes sound delicious, I think our guests might also like something savory. 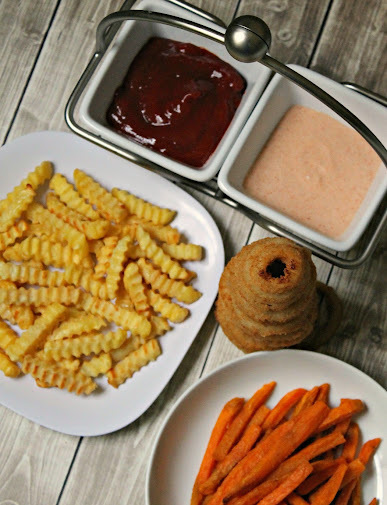 Appetizers, dips, and finger sandwiches all came to mind as they’re usually easy to throw together and people can graze while they talk and hang out. 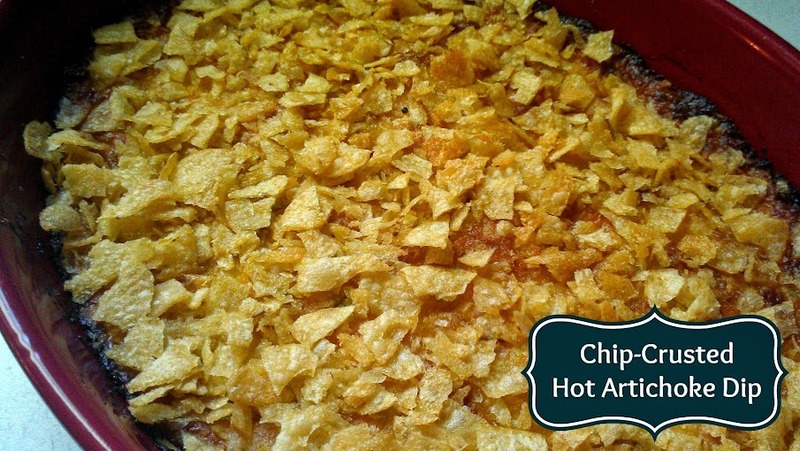 My husband makes a great cheesy sausage dip that we often have for family gatherings and tailgating but I thought maybe for this party we’d have something just a bit different. I don’t want to serve my guests anything I haven’t tried before, though, so for the last few days I’ve been cooking up small batches of dip to sample. 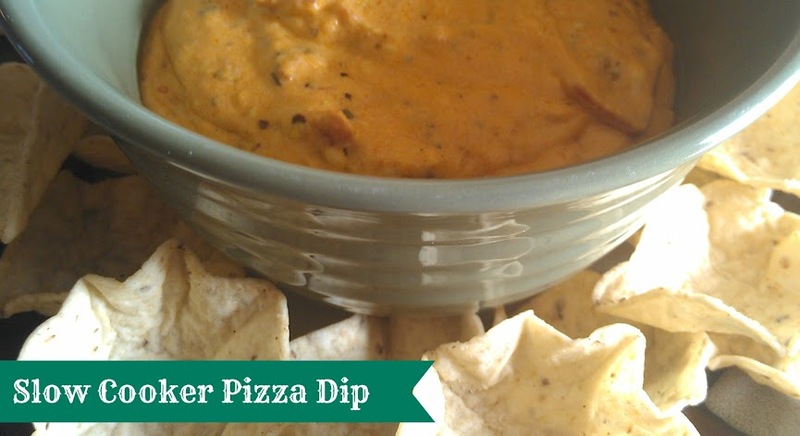 One that I found that I like is the Pleasing Pizza Dip submitted by Jennifer Crsip to Gooseberry Patch’s new cookbook Slow Cooking All Year ‘Round. Here’s the recipe for you; you can put it together quickly, and then just throw it in the oven an hour before you’d like to serve it.